Planning a trip is exciting. The excitement of places to go and things to do extends your trip. Yet, we can derail our trip by forgetting do some simple things. This dumb mistakes can quickly cause problems. Remember the key to traveling well is to consider Comfort, Convenience and Cost. The more you plan ahead, the more comfort and convenience you can expect as well as less cost. Here are 12 Ways To NOT make dumb travel mistakes! Airline travel used to be an experience where everyone would walk with you down to the concourse. Kisses and hugs were exchanged as you went on your way. Now, with current regulations, it’s more akin to going for a visit to see Uncle Sal in prison. What shoes you wear, or the lotion on your hands can have you pulled over for further inspection. Or "just because" you're the random check for that hour. Forgot to set your alarm to the right time and are running late? The security process may cause you to miss your flight. While transportation authorities could improve security lines, it won’t be changing anytime soon. You can take off your shoes, jackets, and pull things out of your bags to place on a conveyor belt. Or you can spend the $85 (at time of writing) to receive TSA PreCheck. But if you’re going to spend your time and money doing that, why not go the entire way and get Global GOES? Even if you have no current plans to travel overseas, you’ll be happy you have it when a trip opportunity arises. For a small amount more, you can also receive global entry access. This means no more filling out those scraps of paper they give you on the airplane for you to take through customs. Is it worth about $15-$20 more a year to get PreCheck and GOES—yes! This service requires that you submit a fee and fill out an application. After your application is reviewed you will receive a preliminary approval pending your interview. You will schedule an interview at a location close to you. However, if you are planning to use your information soon, you may decide to travel to another location. After your interview is complete, you will instantly receive your TSA n​umber. Note: if you apply for Global Entry, you do not have to apply separately for TSA PreCheck. You can then add your PreCheck number to your airline information. Your Global Entry ID will come to you through the mail. This will not include your TSA PreCheck number. It’s easy to forget that passports expire just like driver’s licenses. They expire after 10 years. 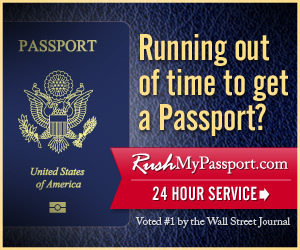 Passport rules vary in other countries so you want your passport to be good for at least six to eight months more. This can quickly stop a trip. Add your passport expiration date to your calendar. Then you can start the update process before it expires. Trip coming up in a hurry? There are places that will expedite your passport but you’ll pay extra for it. Note: some of the links in this article are affiliate links. It’s rare that something will happen on your trip. It could also happen before your trip. An accident, illness, a family death, so many things can happen that could delay your trip. On your trip, delays or cancellations can mean lost money. If you have insurance, you’re protected. Travel insurance is worth the peace of mind you’ll have by getting it. The person in the seat next to you could have paid less or more for the same class you’re in. This is because there are so many ways to buy a seat through money or miles, or a combination. Not doing research before buying your ticket. The time and day you buy your seat can give you a great deal or add on hundreds of dollars to your ticket price. Not buying during the right window. Buy your tickets on a Tuesday or Saturday in the evening. While I've heard it said that this rule no longer applies, I've found it to still be applicable. It's not always true, but do some testing. Look on different days at different times and record the prices. Listening to all the experts on when to buy. Many travel experts will tell you that you need to buy domestic tickets 50 days out or last minute. International flights should be at least 100-150 days out. But as George Hobica of Airfare Watchdog states, "There is no magic formula." His advice: "Sign up for alerts." Looking at the cheapest flight. You spot a great fare of $79 from Frontier. The next flight price is $117 with American. No brainer, right? Wrong! Do you plan to take a carry-on? That will cost you another $35. Want to pick your seat? You'll get the privilege for an extra $5. By the time it's all said and done, your Frontier flight will cost you $119. Two dollars more than the American flight. Have an idea of expected charges for each airline. This way you can compare apples to apples. Flying on the wrong days and time. Early weekday flights will see more business passengers. Fly mid-week and your costs can be quite a bit less. The same goes for Fridays and Sundays when everyone is flying home or out to make Monday morning appointments. Fly Saturday on the weekends. One of the worst parts of travel is getting stuck in an uncomfortable seat. For those of medium to tall height, it can be even worse. I thought I’d be smart and pick the seat right behind the bulkhead. This gives you more space in front of you and you don’t have to bother your neighbor if you need to get up to go to the bathroom. But, you also can’t stretch your legs completely out. Next trip I thought I had it figured out. I would select the seat directly behind the bulkhead seat. I wouldn’t have the extra leg room but I could stretch out my legs. Wrong, again! The bulkhead doesn’t provide storage. So that person must place their bag under their seat. Thus again, the ability to stretch my legs out fully was limited to one at a time. Even small things matter when you’re flying for hours at a time. The world is becoming smaller. You can now hop on a plane and within a day or two be anywhere in the world. With that freedom comes the opportunity to engage with other cultures. One of the best ways to do this is through learning some of the language. Even if you are only able to utter a few words, people are going to be appreciative. I remember going to Paris many years ago with my daughter. We got lost. We parked and went in to a retail establishment. I asked in English where we could find the Eiffel Tour. At the time the woman didn’t respond and her face became flustered. I realize now (many years later) that she probably spoke English. But I had been horribly rude. I simply expected her to speak English. Is it any wonder Americans sometimes gain a bad reputation in certain places? Learning another language is one of the best things you can do before you travel. It doesn’t have to be perfect. Just do it. Additionally, even if you never use it traveling, it connects new brain pathways that help you keep your mental acuity as you age. 7. Buy a good piece of luggage. The bag you used years ago may not fit the traveler you are today. Technology is not something you want to place in your checked bag or in your carryon. ​If you already have a bag, check it for size and weight. Those little boxes next to the gangway are the bane of many travels. If you purchased a hard side case, there’s no way you’re going to be able to force it into that bin. This is why a soft side case is better for global travel. Hauling a heavy suitcase around gets old fast unless you decide to take a taxi or drive everywhere. Even then you could find that the lady at the desk—who speaks no English—didn’t call a taxi for you. So you end up slepping your bag 15 minutes to the train station over cobbled roads in Florence. Unless you’re driving to see Cousin Mariam, ditch the big hard side. Pack light in a soft sided bag. 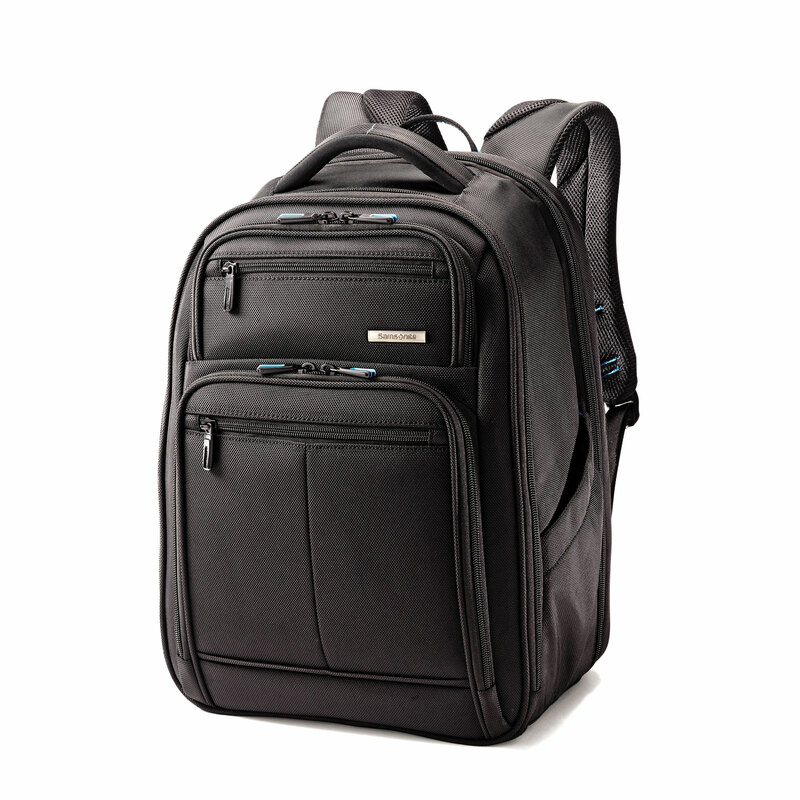 With regional airlines--where overhead space is almost nonexistent--you'll need a smaller bag. Many airlines provide updates direct to your phone with downloadable apps. However, if you want to have everything in one easy access point, there are some great trip helps. Wouldn't it be nice to have an app that helps you find the best flight upgrades and mile award availability? 9. Break in your shoes. Why can I never take my own advice on this? This is such an important piece of your trip as you will be walking and standing more than on a normal day. Break in any new shoes before your trip. Better to find out now that they won’t work than after you have blisters on your toes or heels. Some shoes may have been awesome last year but they won’t work this year. You’ve already worn out the support. Buy the same shoe, break it in and you’re good to go. Shoes that do double duty help lighten your luggage load. Airports are responding to the needs of its consumers. Airports are creating better atmospheres for fliers. Coffee shops, restaurant choices, retail shops, even hair and massage establishments are often found. Yet, the cost at such establishments can hit your wallet before you’ve even begun your trip. Some major airports have created an oasis for travelers. Lounges take you away from the hustle and bustle of the airport. These lounges are for members of particular airlines. During a long layover, you can often catch a nap or take a shower depending on the lounge amenities. An airline lounge can make the time before (or even after) your flight easier. You can score a pass through a loyalty airline with a preferred credit card or you can get access through day passes. Celebrate 25 years of Priority Pass airport luxury – up to 25% off membership! It can be daunting if you have no idea where you’re put that information about the hotel or tracking your mileage points. TripIt is a free service or you can pay for extra bells and whistles. You've waited a long time for this trip. Now you find out there's a three hour wait--and that's just to get to the ticket counter. I'm looking at you Uffizi Gallery. While you may not want to do the tourist "group" thing, let's face it, we're tourists. So we can either choose to do our own thing or save time, money, and effort by getting an activity or city pass. Hop-on, hop-off buses are a great way to see the city and get around at the same time. Buying passes ahead of time helps you bypass long lines and head inside to what you want to see. You will also save money by buying a pass. After you buy your pass, plan your activities by quad. This way you spend less time traveling from place to place and more time enjoying the sites. Find something out of the way. Go do it. It may become one of the most memorable parts of your trip. Twelve things to consider doing now for your upcoming trip. What’s the one you do that makes your trip smoother?